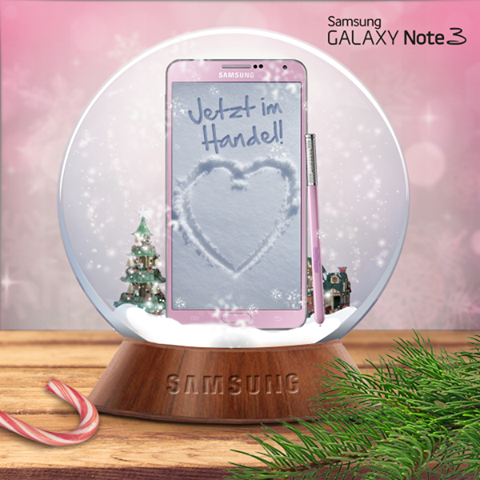 After a survey on Facebook about which color of Samsung's phablet should be made in Germany next, the Korean Manufacturer Samsung has launched their pink color variant of Galaxy Note 3 in the country called "Blush Pink". The specs remain the same, sporting with 5.7-inch 1080p Super AMOLED display, powered by 2.3GHz quad-core Snapdragon 800 processor, 3GB of RAM, 13-megapixel camera, 3,200 mAh battery, and Android 4.3 Jelly Bean. It seems good to put it in a Samsung Galaxy Gamepad to enhance the gaming experience of its user. The Samsung Galaxy Note 3 Blush Pink worth EUR 709,95 on Amazon.or $969.65 if we convert into Dollars.